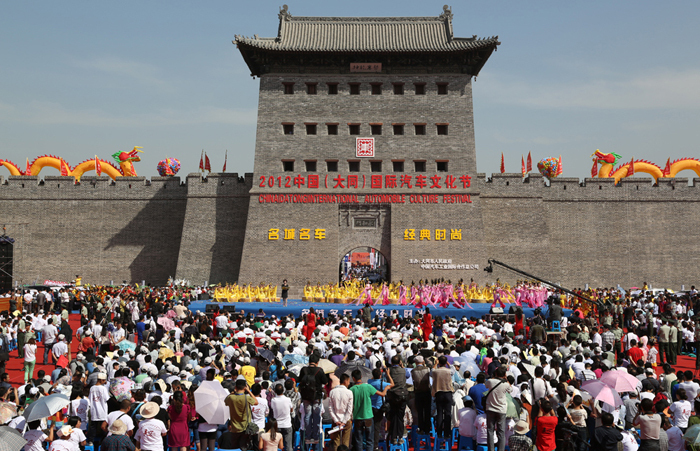 2012 Inaugural China (Datong) International Automobile Cultural Festival, which was co-hosted by the People’s Government of Datong Municipality and CNAICO, held on Aug 23. He Guangyuan, former Minister of Machinery Industry; Jia Chengbing, former Chairman of the Board of Supervisors of State-owned Assets Supervision and Administration Commission of the State Council; Ding Hongxiang, Vice President of Sinomach; Wang Songlin, Former Vice President of Sinomach; An Huanxiao, Vice Director of Shanxi province People’s Congress; Hu liyun, Sub-Inspector of Propaganda Department of Shanxi Provincial Party Committee; Sun Zhaolan, Inspector and Party Member of Department of Commerce of Shanxi Province attended the opening ceremony. Also, leaders of Datong Geng Yanbo, Liang Fengshu, Ma Fushan, Wang Kejian, Yao Shengping, Zhao Xiangdong, Ma Bin, Wei Hongping, Yang Guangyu, Cao Xuecheng, Liu Mei, Shao Kui, Zhang Zhiwei, Yang Renyi, Zhang Cuiping, Liu Zhengguo, Ma Weiping, Liu Junyong, Chen Changhui, Wu Baozhou, Chen Tinglong, Xu Jin`e, Guo Jungang, Huo Yongning together with the major leaders of other department of Datong municipal party committee and government, the leadership group members of CNAICO Ji Xuecheng, Jing Yongjian, Zhao Shuangjun, Peng MingJing, Zhao Haiming, Mao Junmin, Qiao Gong, Han Xiaohong, Guo Qing, Du Chaoying, some state media like People's Daily, Xinhua News Agency, CCTV and CNR, some local media such as Shanxi Daily and Datong Daily, some famous network media like Sina and Sohu, and people all around China came to this festival. In this festival, over 40 brands of autos had been sparking in an area of more than 20,000m2 exhibition area, such as Hummer, Rolls-Royce, Bentley, Porsche, Lamborghini, Wiesmann, Ferrari, Maserati, Bufori, ZOEMO, Benz, BMW, Audi, Landrover, Dongfeng Honda, FAW-Volkswagen, Chrysler, Lifan, Hawtai and Shacman. Also, 13 limited edition cars had been showed. 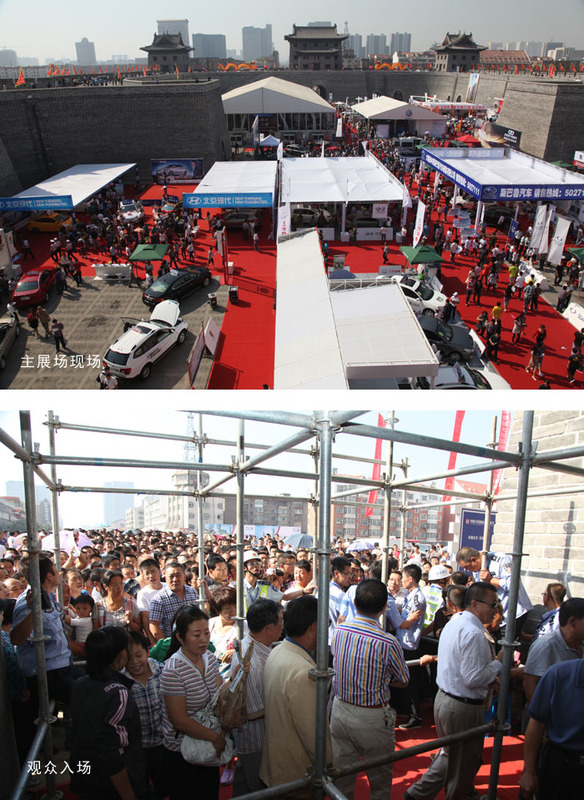 As the special concessions for this auto festival, many exhibitors got a very good result of selling. In the afternoon of the opening ceremony, as many as 21 cars had been sold, some are very expensive. The automobile cultural festival was not a simple auto exhibition. It was a omnibearing show of automobile cultural. Along with the exhibition, this festival also held several splendid automobile cultural activities, such as the car parade, the musical drama, the car stunts show, the car model competition, the photo shows and many other activities. The preparation of this festival only took about four months. 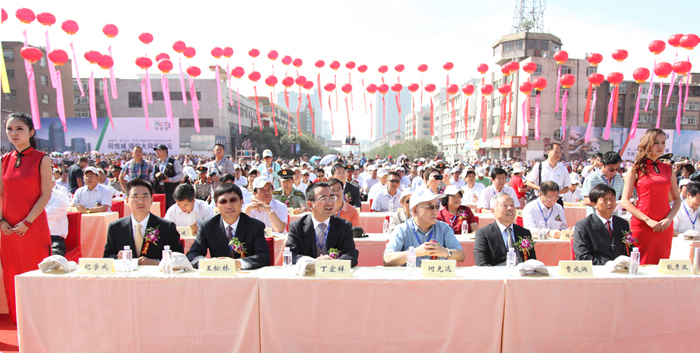 In such a short time could CNAICO successfully held a new automobile cultural festival, which was as the ultrastrong ability of CNAICO and the cooperation of the People’s Government of Datong Municipality and CNAICO.